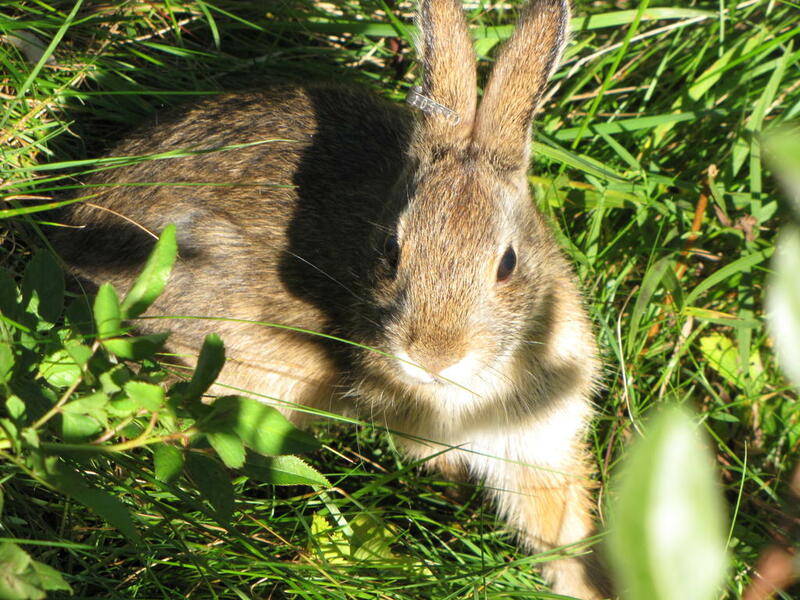 The Maine Department of Inland Fisheries and Wildlife will be cutting down trees and planting shrubs in the upland areas of the Scarborough Marsh this coming winter and spring to create habitat for the endangered New England cottontail rabbit. The Maine population of the endangered New England cottontail rabbit is estimated to be less than 300, prompting the Department of Inland Fisheries and Wildlife’s new project to increase the species’ preferred habitat at the Scarborough Marsh. On Friday, Sept. 30, at 9 a.m., staff from the department will hold a public site walk at the Scarborough Marsh Wildlife Management Area on Manson Libby Road, across from Black Point Auto. “New England cottontails were once a common sight from Kittery to Belfast, but as old fields turned to forest, and farmland became developed, habitat for this distinctively (native) species diminished and their numbers plummeted,” according to an Inland Fisheries and Wildlife press release. The rabbits need shrubland and young forests to thrive, according to the department, which first cut back 21 acres of land in the Scarborough Marsh in 2011 to encourage the New England cottontail to move back in. The Scarborough Marsh is the only Inland Fisheries and Wildlife management area in the state with documented New England cottontail use, which is why the department is planning to cut down even more trees, plant shrubs and work to minimize the spread of invasive plants in the coming months. The goal is to create “young forest habitat that will (also) benefit a number of other species such as yellow warblers, Eastern towhees and the American woodcock,” the department press release added. Kelly Boland, Maine’s New England cottontail restoration coordinator for the U.S. Fish & Wildlife Service at the Rachel Carson Wildlife Refuge, said that this past weekend, volunteers planted more than 3,000 shrubs on refuge land near Winnick Woods in Cape Elizabeth to make the area more attractive to New England cottontails. “Your best chance at catching a glimpse of the cottontails” is at either Two Lights or Crescent Beach state parks in Cape, Boland said, or on property owned and maintained by the Scarborough Land Trust.